Microstructure analysis of materials is a key technology for new material research. Using an information extraction technique called sparse modeling, a collaboration of researchers led by Professor Ichiro Akai of Kumamoto University, Japan, has developed the world's first method of analyzing the atomic structure and structural fluctuation in materials using only measured data. This method needs no prior assumptions about atomic-scale structure, which are required in conventional microstructure analysis methods. Among other applications, this new approach is expected to improve the functionality of batteries and provide longer life. To realize new functions and performance improvements of functional substances such as those found in batteries and electronic devices, their structure and structural changes must be evaluated at the atomic scale. This is because the structure of the atoms at the nanometer scale dominates their properties. Extended X-ray absorption fine structure (EXAFS) measurements are widely used to analyze microstructures such as these on an atomic scale. By performing a Fourier transformation on the measured spectrum of an EXAFS oscillation, microstructure information can be obtained to determine how adjacent atoms are distributed radially. However, the radial distribution obtained by this conventional method is quite different from the actual radial structure. 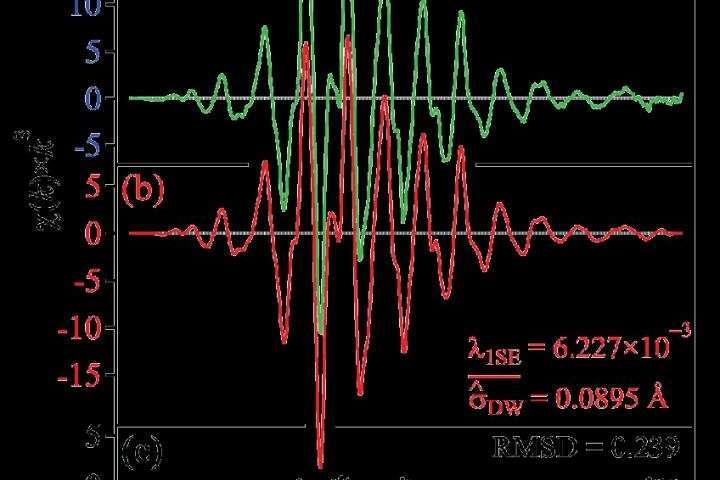 This discrepancy is due to improper expansion with basis functions of vibrating waves having constant amplitude by Fourier transformation, despite the fact that the amplitude of the EXAFS oscillation changes noticeably within the observed range. The amplitude changes represent structural fluctuations, which are variations in atomic distances and the mobility of neighboring atoms. These physical properties are indicated by a physical quantity called the Debye-Waller factor. 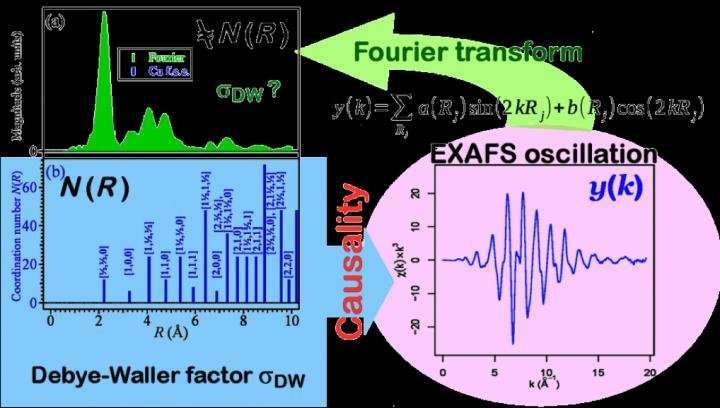 This factor cannot be obtained by Fourier transformation of the EXAFS oscillation because estimating the Debye-Waller factor requires assumptions to be made about a material's microstructure. In other words, since an analysis of the conventional EXAFS oscillation spectrum is based on a hypothetical structure, it is difficult to estimate the Debye-Waller factor unless the material microstructure is previously known. To solve this problem, the researchers focused on the fact that atoms are, in general, regularly distributed, which reflects their chemical structure and bonding states. Furthermore, the distances between atoms (atomic coordinates) are distinct, and can be considered to be "sparse." The researchers then developed a new analytical method using a type of information extraction technology called sparse modeling to analyze EXAFS data. Sparse modeling was developed in the information science field, and is used to discover dominant properties in measured data. In recent years, it has been used in a wide range of research fields, such as astronomy, medical science and engineering. estimate the Debye-Waller factor (i.e., the structural fluctuation and mobility of neighboring atoms). "Since we can estimate the Debye-Waller factor without any prior information about a material, we expect that this method will produce important results in several areas of materials research—particularly for novel substances, such as thermoelectric materials where thermal fluctuation of adjacent atoms is important, and superionic conducting materials that require mobility between adjacent atoms. Both of these are currently attracting attention as solid electrolyte materials for secondary batteries," said the lead researcher, Professor Ichiro Akai of Kumamoto University. In this study, the researchers applied their new method to EXAFS data from a standard sample of copper and demonstrated that the sparse modeling technique worked properly and effectively to analyze the EXAFS oscillation spectrum. 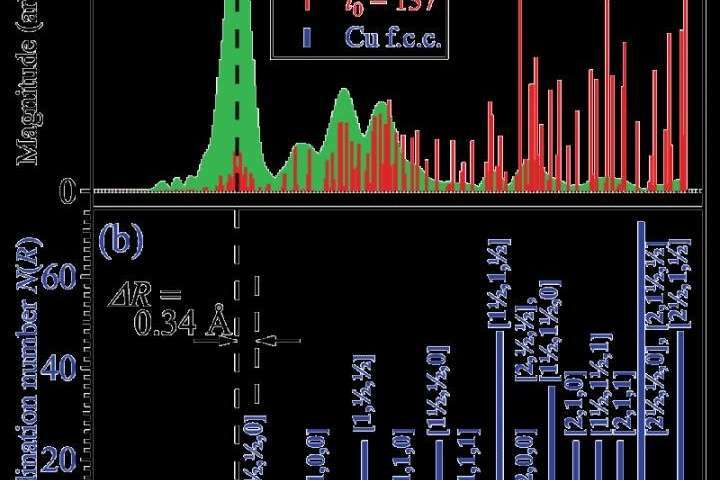 Applying this method to various materials that are difficult to analyze in detail through conventional methods is expected to produce future developments. This work was published in the Journal of the Physical Society of Japan on 22 June 2018.